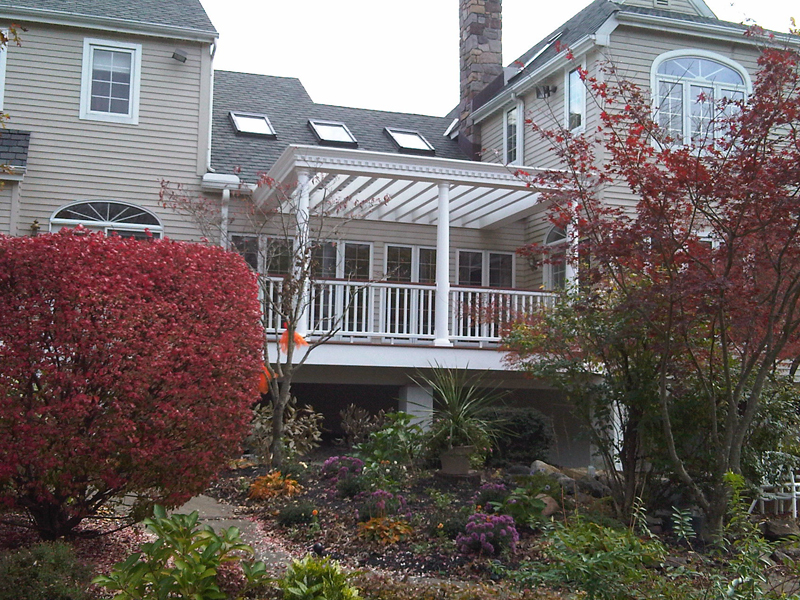 You can add real splendor to your outdoor living space with covered pergola designs for decks or patios. 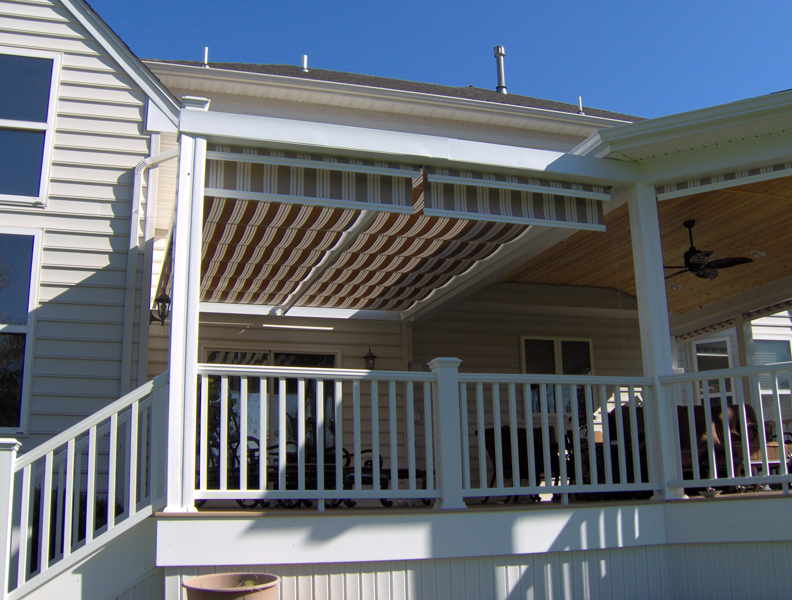 These beautiful coverings provide great shade from the hot sun but don’t completely block out the light. 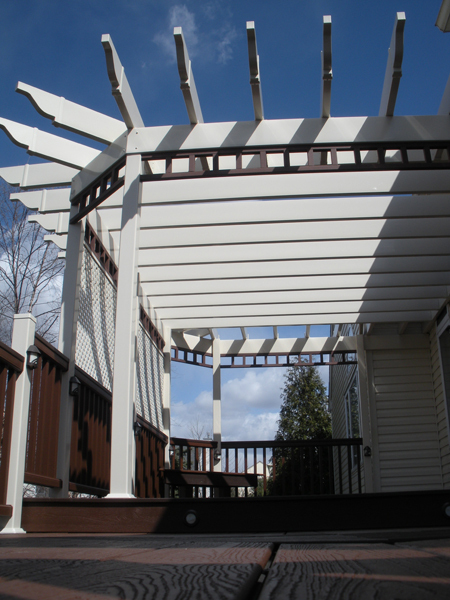 As experienced pergola builders, Amazing decks can provide you with a number of wooden pergola designs as well as styles built from material that is maintenance-free and never requires painting or staining. 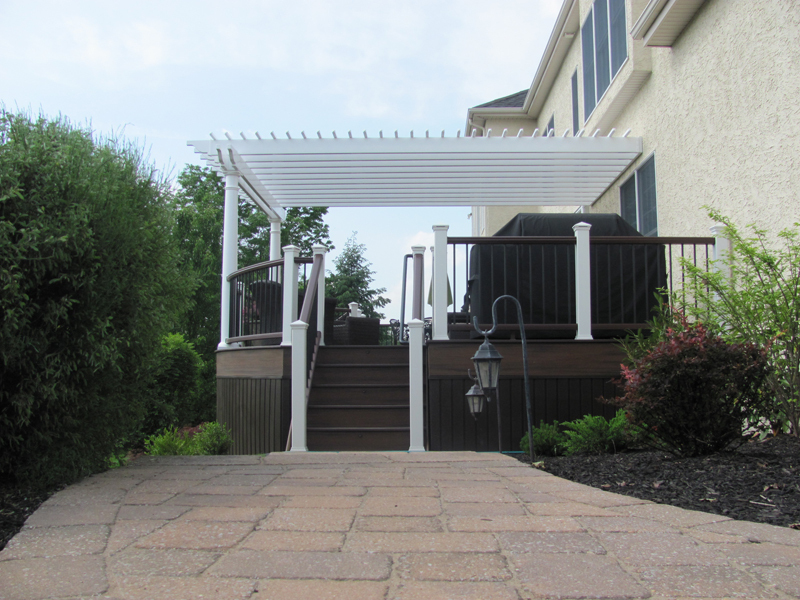 For people who love the outdoors and don’t like being completely covered by a solid roof, patios or decks with pergolas give them the best of both worlds. 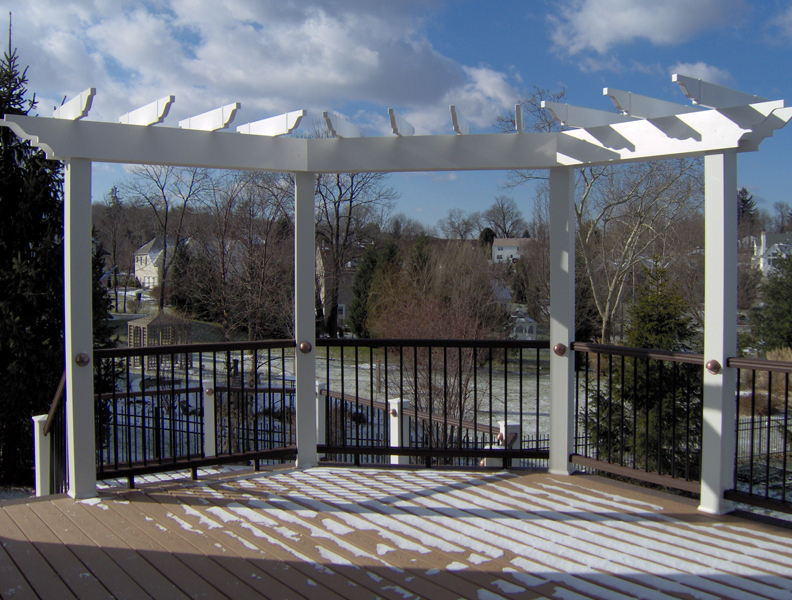 Typically, the rails on these structures are 12 to 16 inches apart, allowing them to catch the sun at the right angle, which causes the pergola to throw a comforting shadow onto the space over which it sits. 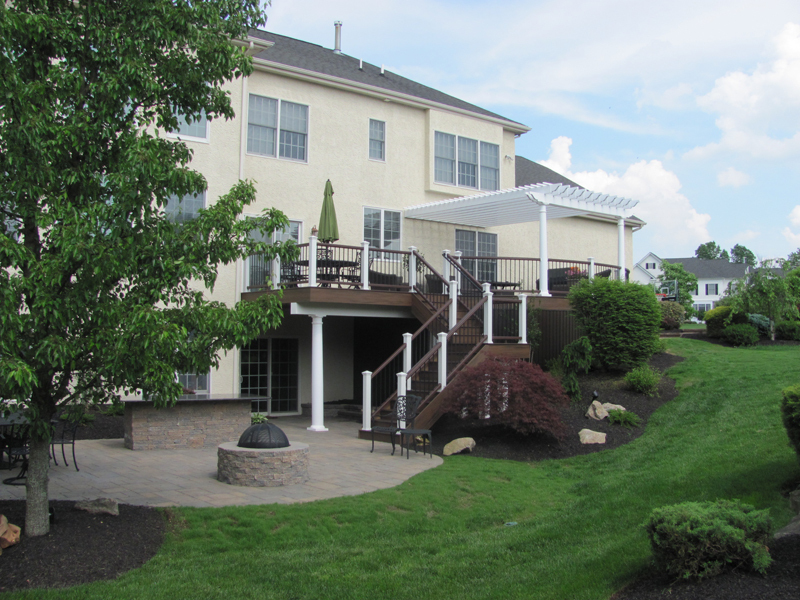 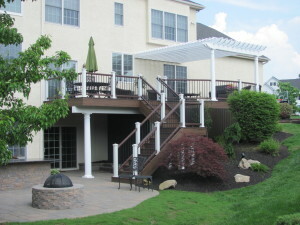 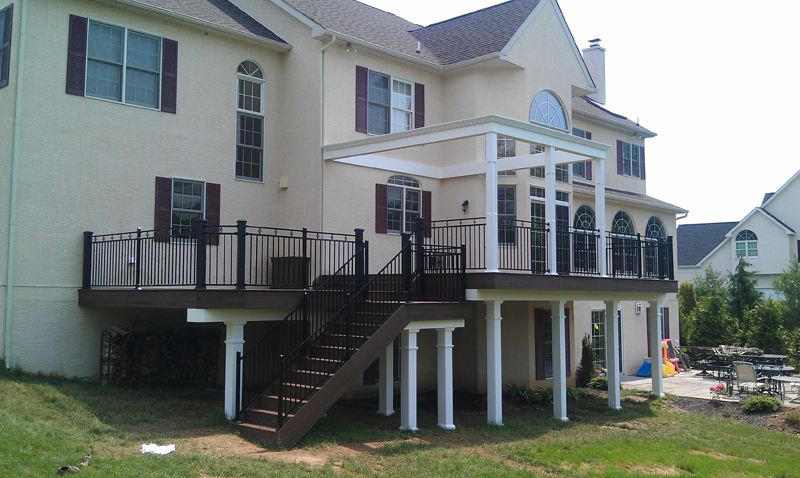 With your pergola in place, you’re ready for entertaining, playing games, having cookouts or just relaxing in comfort. 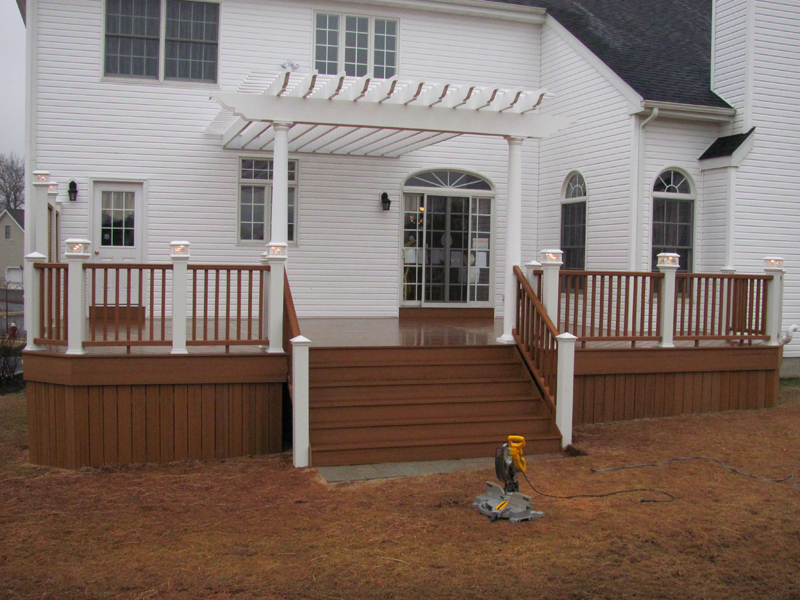 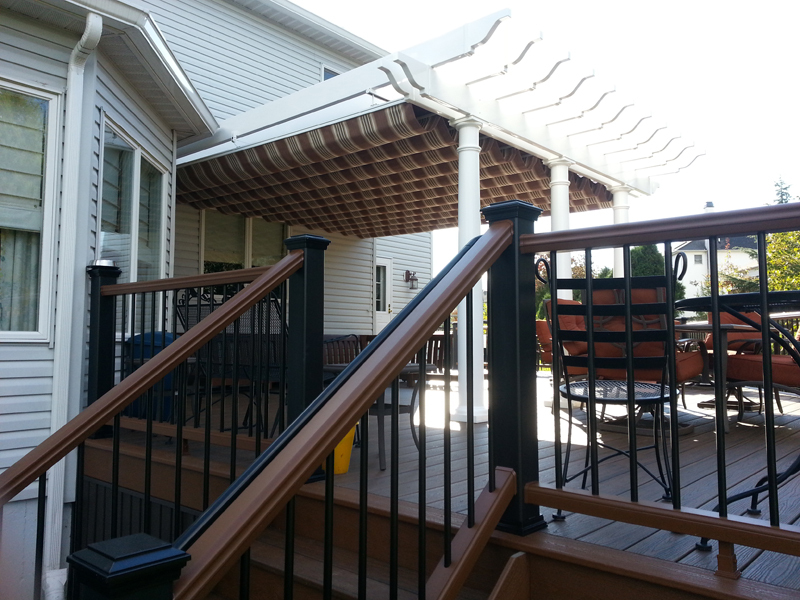 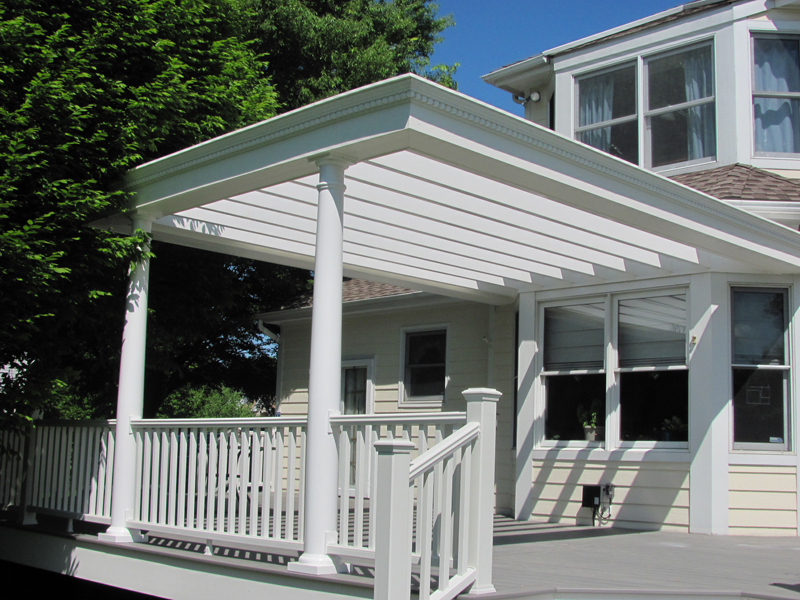 Not only do our covered designs fit in perfectly with your home and property, your deck will quickly become a fantastic additional living space. 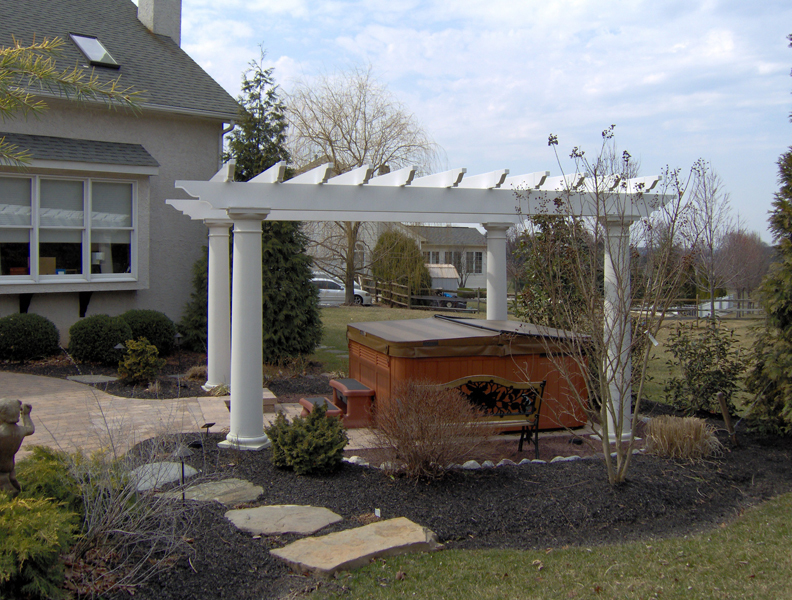 For people who prefer real wood, we can install any number of wooden pergola designs that can be painted or stained according to your unique tastes. 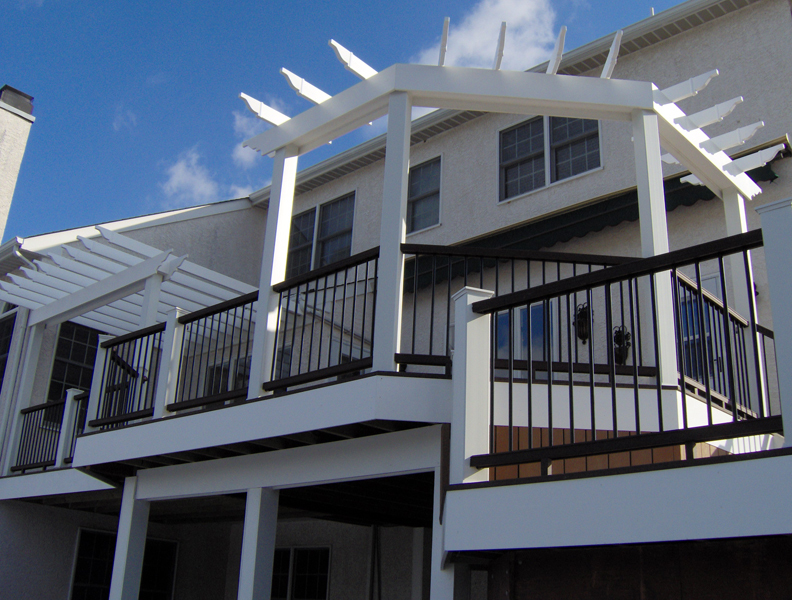 For those who prefer to just enjoy pergola designs for decks and patios rather than work on them and maintain them, pergolas manufactured from strong, weatherproof composite material are the ideal choice. 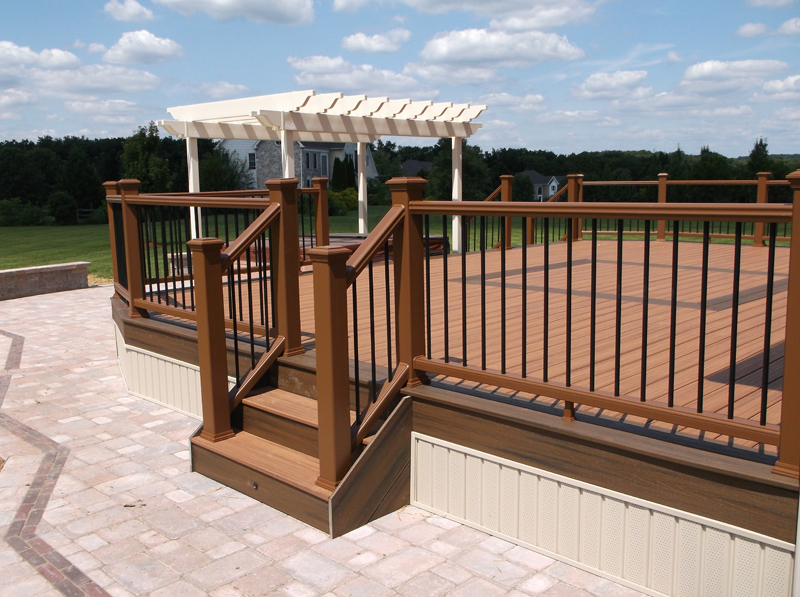 There are plenty of shades to choose from to perfectly complement the shade of your home and deck. 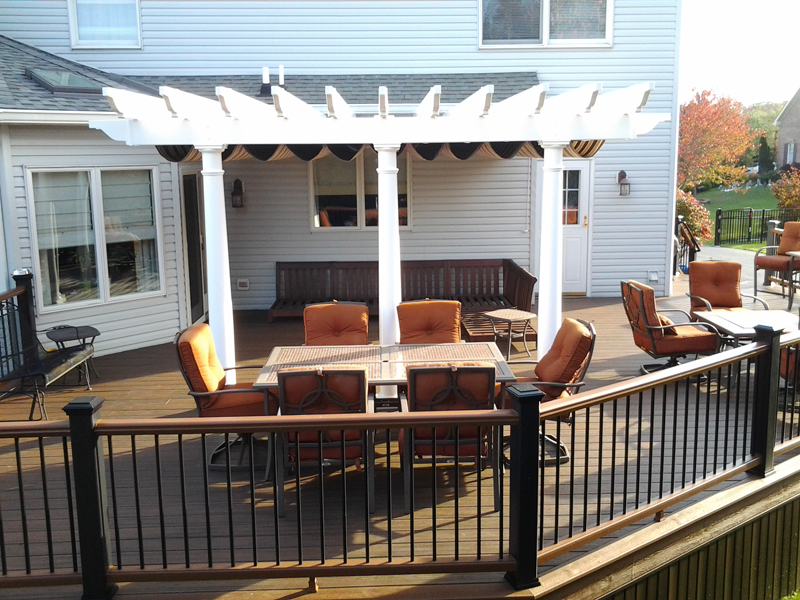 You’ll be surprised at the multitude of designs, many of which would look amazing sitting atop your outdoor lounging area. 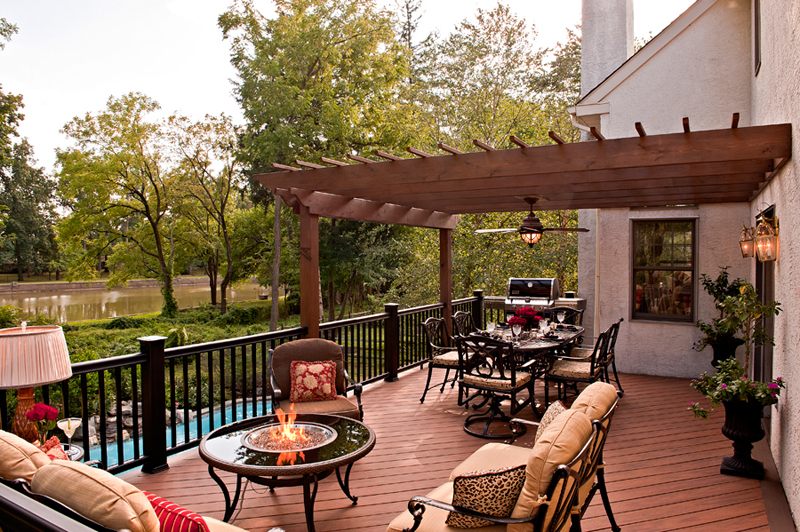 And in addition to the style and beauty of a pergola, it will, along with your deck, increase the value of your home if and when you decide to put it on the market. 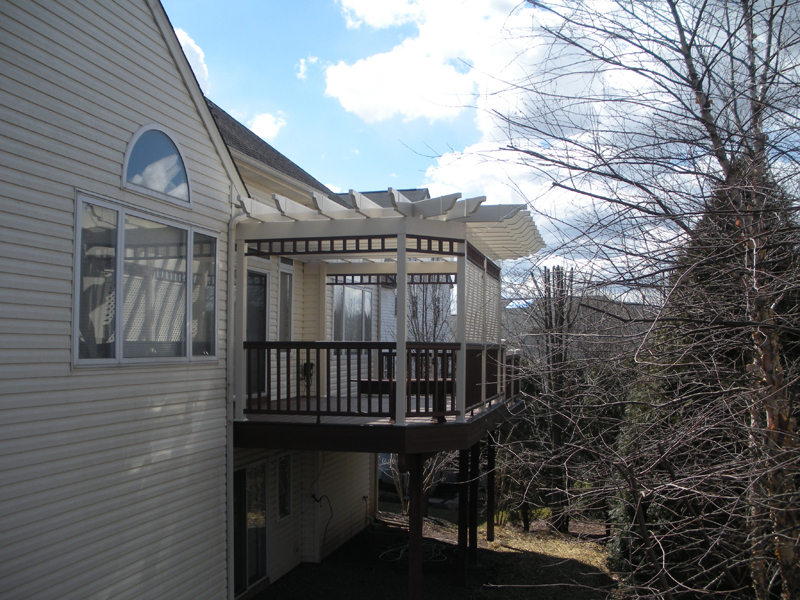 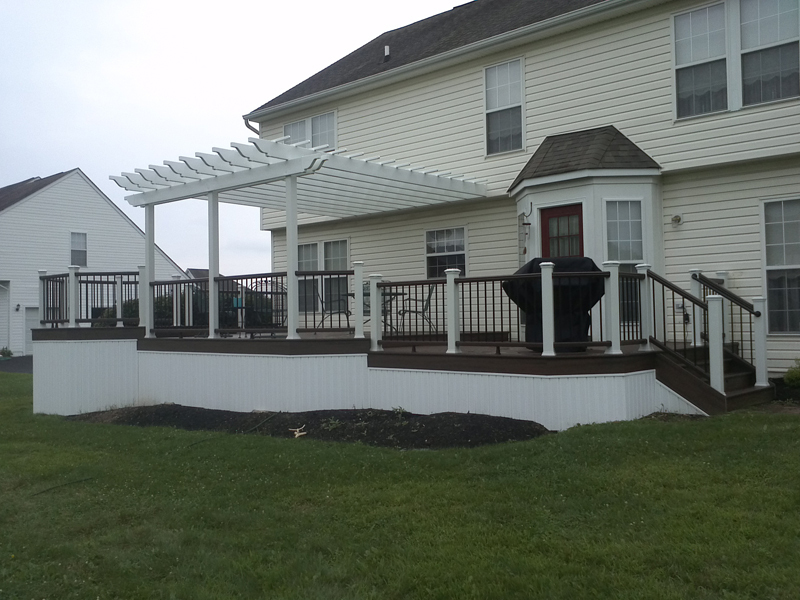 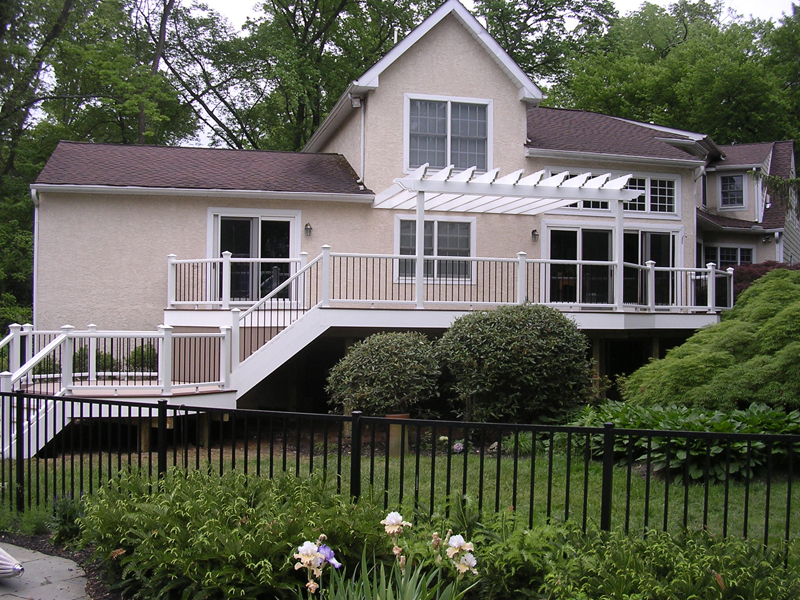 Interested in a Patio or Deck with a Pergola? 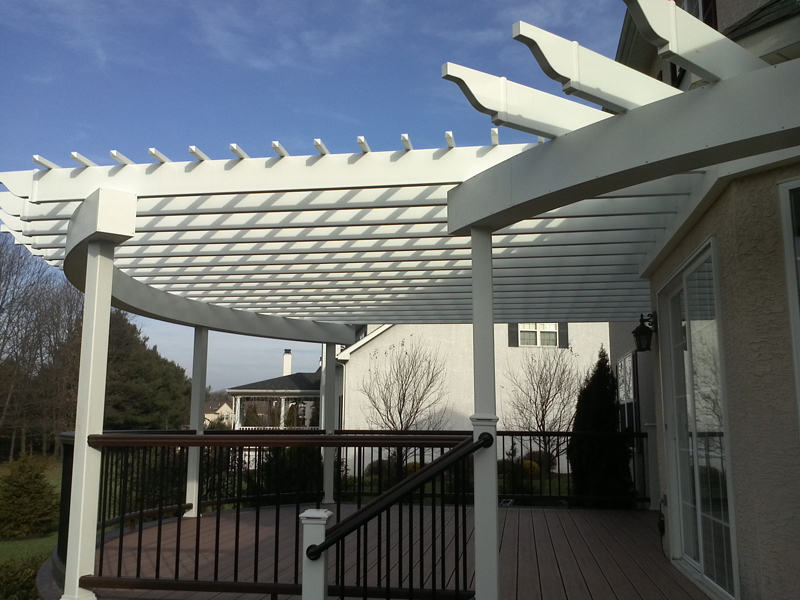 If you’d like to learn more about the advantages of pergola designs for patios and decks, one of our helpful associates would be glad to answer all your questions. 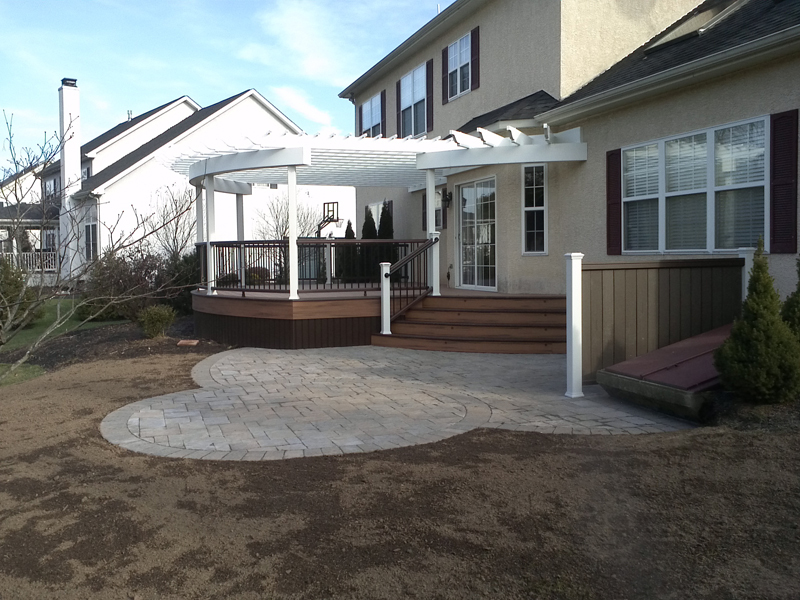 Contact us today or call (215) 654-1886, or you can stop by our showroom at 11 South Ridge Ave. in Ambler, Pa.